Each time when I go to the shop selling bakery ingredients, few stuff that I will check out are those super duper lovely cupcakes liners, different design of baking pan or cake moulds and the new recipe books. I just can't resist the cupcakes liner with various designs and colours. I will always check on their new arrivals. I have few different design in my collection now. What about you?? Do you like to collect it? 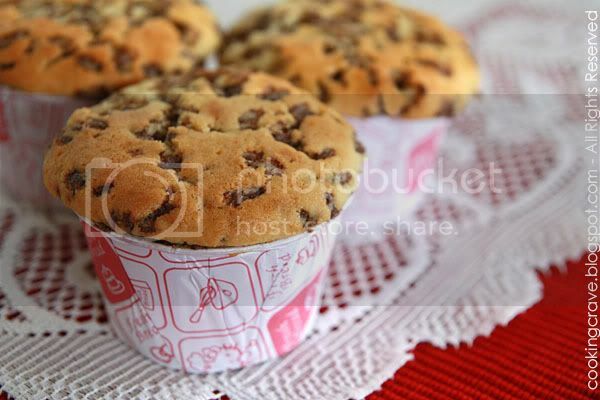 I came across this Chocolate Rice Yoghurt Cupcakes not too long ago in Happy Flour's Blog. After reading the ingredients used and it's method, I straight bookmarked it. I know my kids are gonna love this. They love cupcakes with chocolate chips or chocolate rice in it. 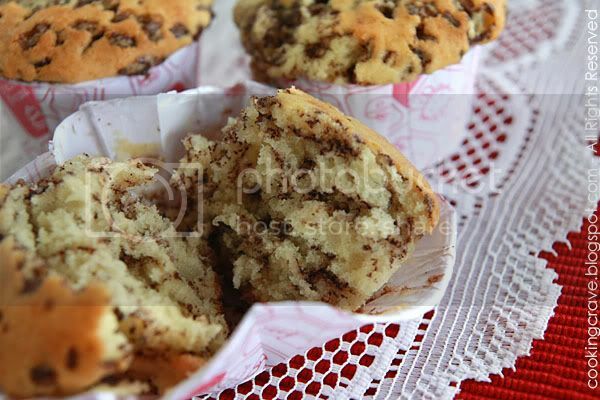 From the picture in the blog, I can see how soft and fluffy the cupcakes can be. This is the cupcakes that I will want to bake for the kids. 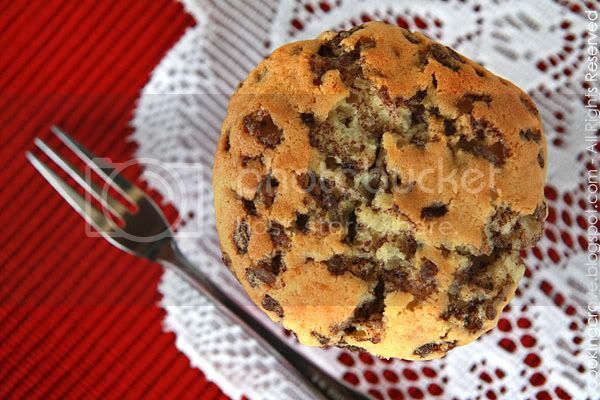 I don't like the chewy type muffins and this Chocolate Rice Yoghurt Cupcakes recipe are definitely a keeper. It's very delicious!! 2. Line muffin tin with paper liners and set aside. 2. Sift flour, baking soda and baking powder together, set aside. 3. Cream butter, salt and sugar until light and fluffy. 5. Fold in flour and yogurt alternately until well combined. 6. Lastly fold in chocolate rice. 7. Spoon batter into the muffin tin until 70% full. 8. Bake in the preheated oven for 25-30mins. 9. Remove cupcakes from tin and cool on a wire rack. This cupcakes are moist, soft & fluffy ... very tasty. WOW! 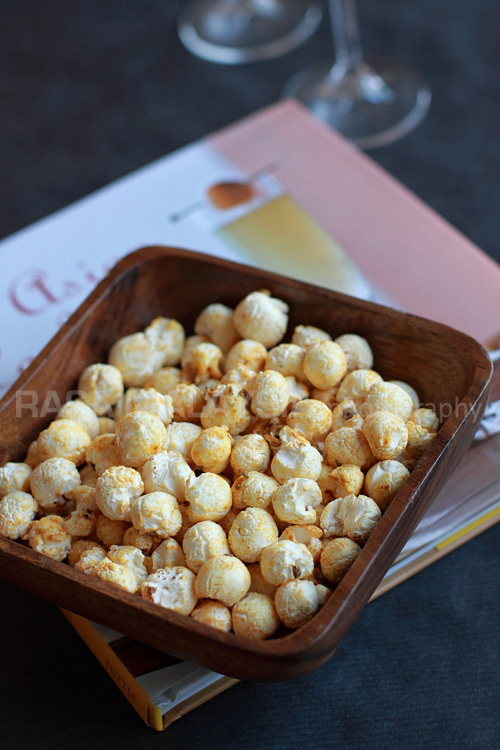 This looks so yummy with full of chocolate rice. This looks really delicious! Can you post the recipe please please please? 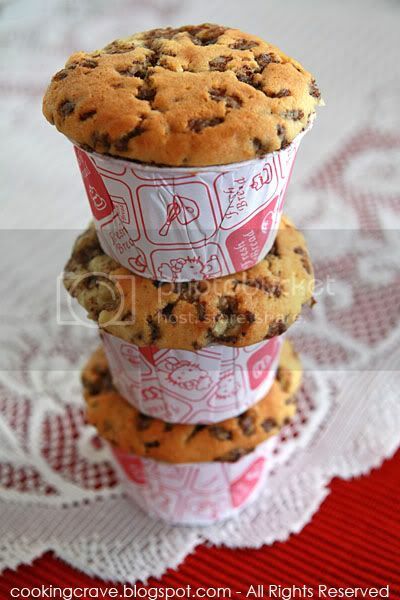 i always cant make a muffin in perfect shape, any tips for the skill when i scoop into the cup? Canary - It's Hello Kitty cupcake liners, I got it from a shop selling baking ingredients here sometime ago. Anncoo - Thank you. It's yummy. Missy-j - Give me sometime. I will post it soon! Penny - I normally scoop the mixture with ice-cream scoop. I found it easier and the muffin will came out same size. Don't fill the cup too full. I was greedy, fill the cup too full and some of the mixture spill out when I bake it. I love the cupcake wrapper.. I like that cup and cake too, look really nice. Bila boleh bagi tahu recipe? You choc muffins indeed look very tasty...! Make me wants to make some now ;)! A Full Time Housefly : Thank you. Really, I never experience that when I click on my blog and I dunno if others experience that or not.